Nishay K. Sanan, Esq., came to the legal field with a background in accounting and tax, which helps form his legal strategies in Illinois, New York and federal courts throughout the country. Nishay handles complex criminal matter which often involve financial, health care, RICO, and other white collar offenses. He places great importance on working closely with clients to make sure that they understand their rights and how best to protect them. Together with his clients, he develops a strategy for a powerful defense. Attorney Sanan has been practicing law for over 17 years. He has represented businesses, business owners, doctors, pharmacists, health care facilities, accountants, investors and securities traders, among many others. 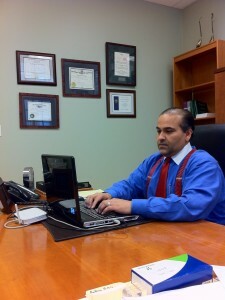 He has helped many clients successfully deal with criminal charges and protect their professional reputations.